Each contemporary industrial chic villa has been thought with your comfort in mind. Your room is inspired by one of the four natural elements (Earth, Fire, Water and Air) which is reflected by the colors scheme, smells and amenities. The humble but comfortable air conditioned rooms offer a direct view to the pool while some offer a direct view to the sea. 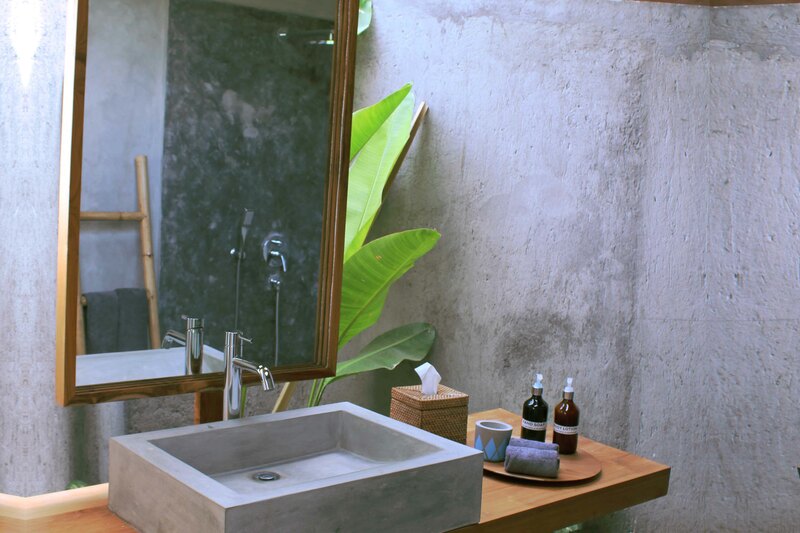 We designed your villa to bring you closer to your surrounding with floor to ceiling windows, local wood bed features and indoor bathroom gardens. 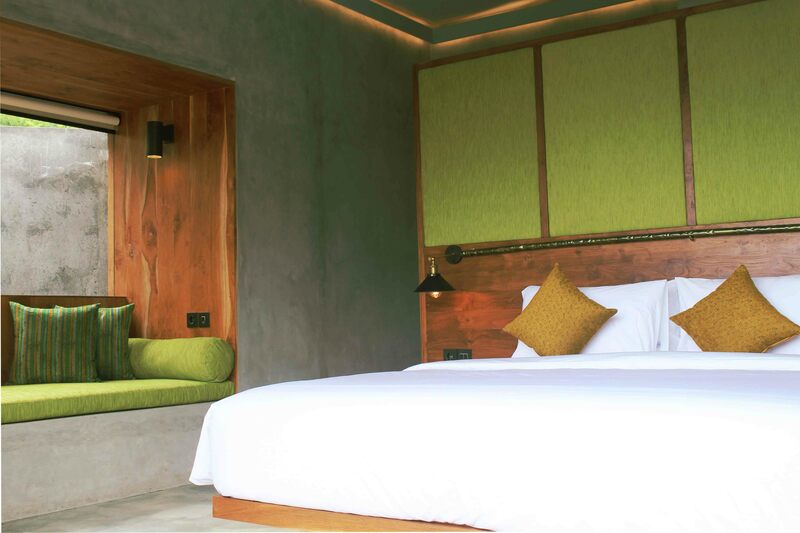 Each private industrial chic villa features a King Size bed, a Day Bed and in-suite bathroom with mural shower and indoor bathroom garden. Ideal for 1 or 2 adults, the daybed can easily accommodate 1 child up to 13 years old. We also provide complimentary amenities such as tea, coffee and one water bottle per stay. 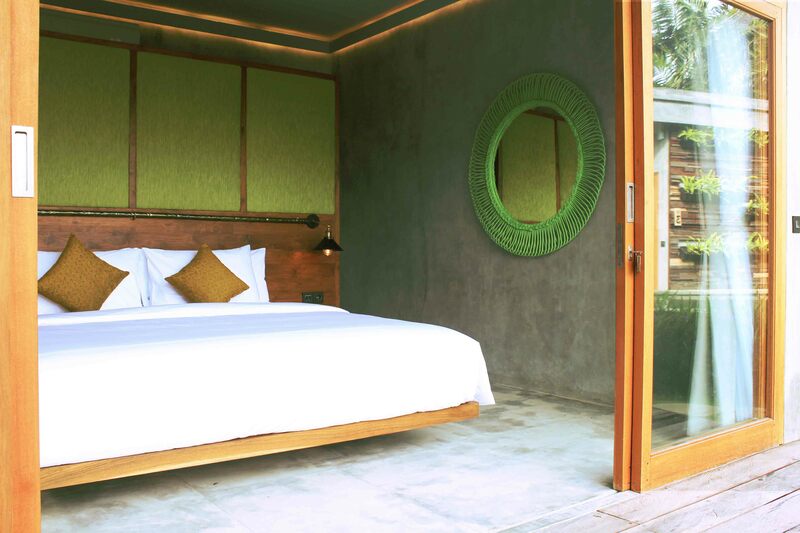 Located in the heart of Bingin, The Elementum is just 500 meters away from the famous Bingin Beach while Dreamland is 10 minutes drive and Padang-Padang is 15 minutes drive away.